FIU's attempt to greatly improve its 6-year graduation rate from freshmen is getting national attention as this article in National Journal attests. It's a fairly novel concept and, partly fueled by the state of Florida inititiave of funding based on performance, every school is now putting more emphasis on this issue. 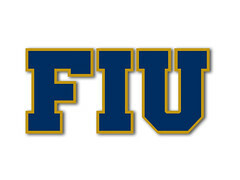 FIU has done it now for several years, and we are seeing the results in a consistent way. From the 41% rate for students in the 2005-11 cohort to 52% last year for the 2008-14 cohort. According to this article, the 2009-2015 cohort is expected to rise to 56% graduation rate, and according to the latest FIU 5-year plan, our leaders have set a very aggresive (and perhaps unattainable) goal of 72% graduation rate by 2020.